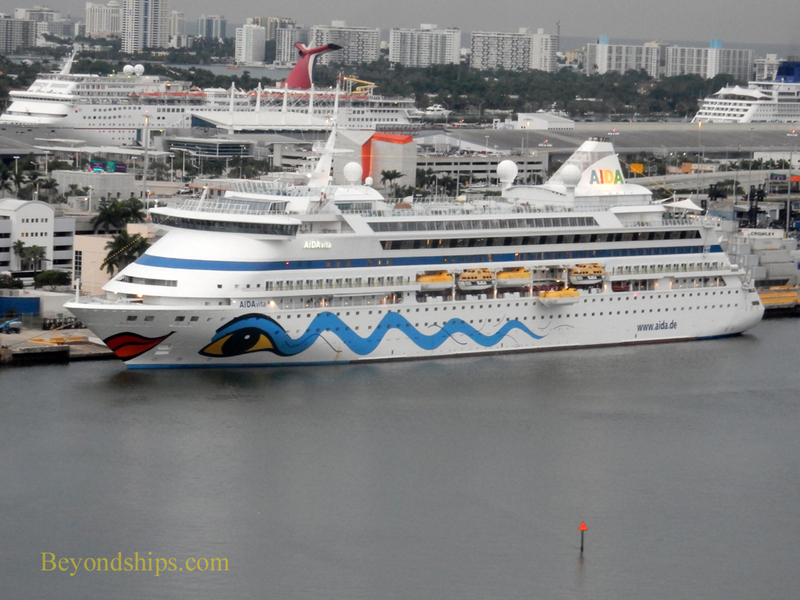 With her brightly painted Egyptian-inspired hull, AIDAvita proudly proclaims that she is different than other cruise ships. And indeed she is. For example, there is no main dining room. Instead, there are two self-serve buffet restaurants. Along the same lines, there are no traditional formal nights. The dress code is completely casual. The AIDA approach is to foster a club-like atmosphere. Guests are encouraged to make new friends in an easy, casual atmosphere. 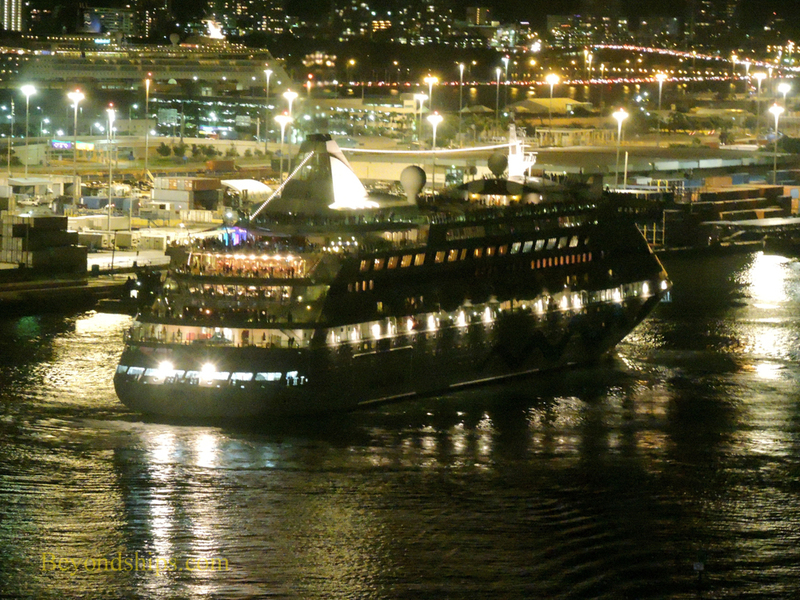 AIDAvita is a relatively small ship by today's standards. This is also unusual as most ships of her size are reserved for the luxury cruise market or else are older ships catering to the budget market. AIDAvita falls into neither category. 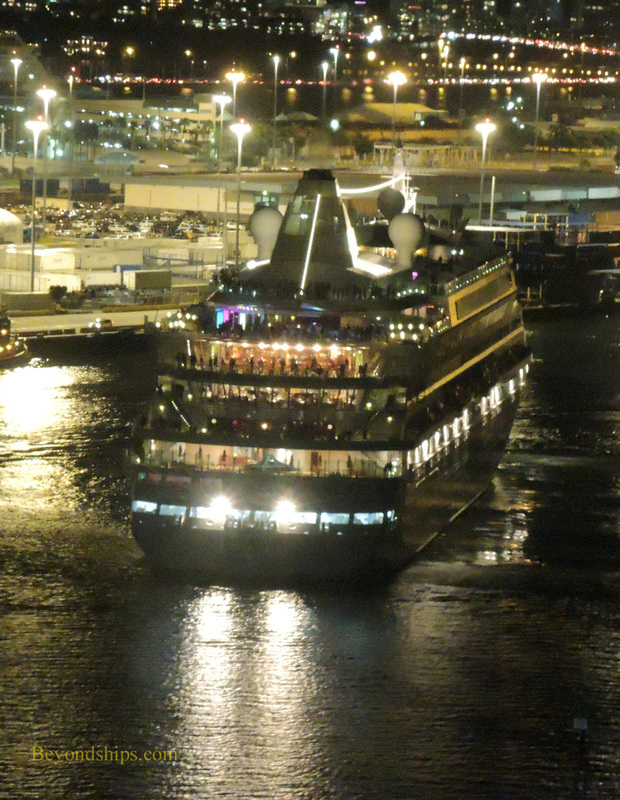 She is a first tier mass market cruise ship catering to the German-speaking market. This ship is the sister ship to AIDAaura. 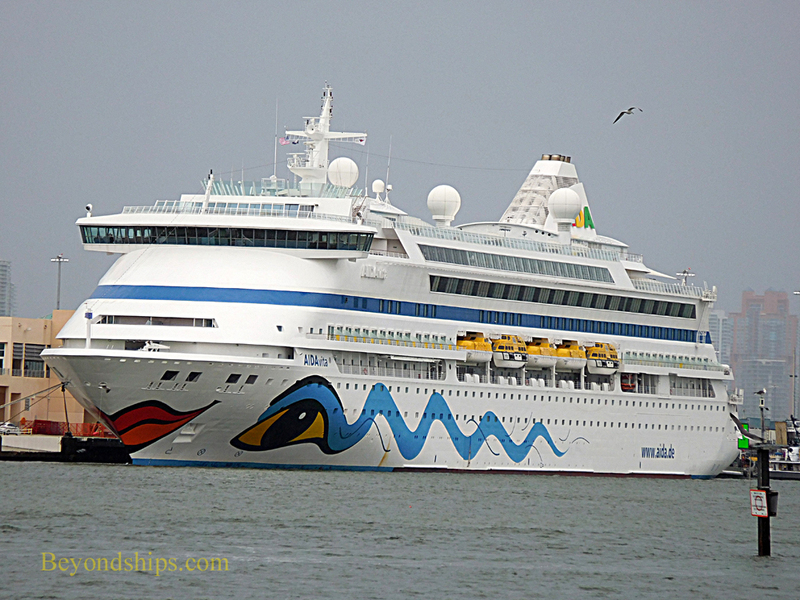 She is a slightly larger and enhanced version of the original AIDA ship, AIDAcara. 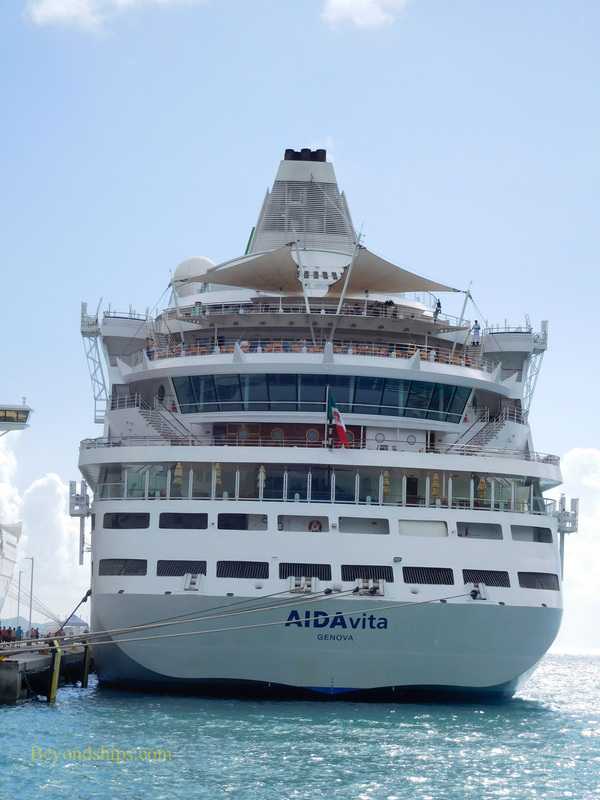 Right: AIDAvita seeks to foster a youthful, active cruise experience. 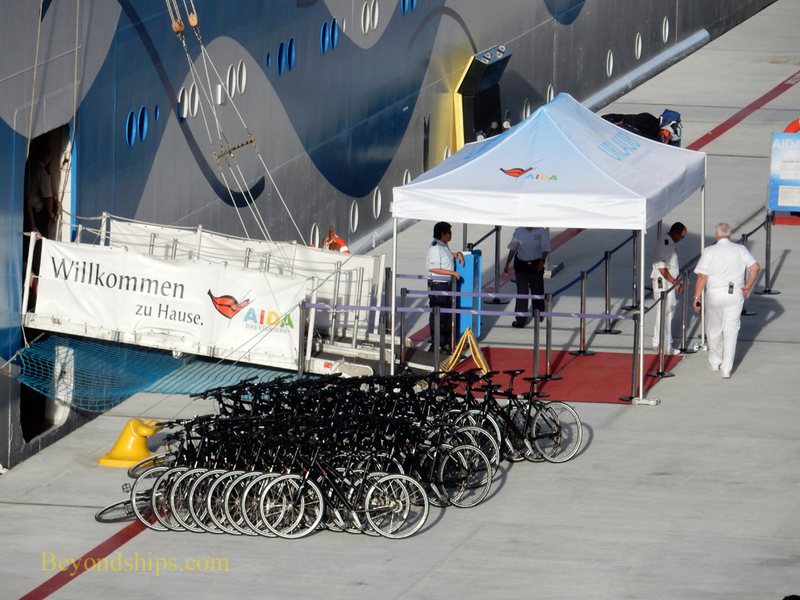 To that end, she carries a large number of bicycles for guests to use during shore excursions in the various ports. LENGTH: 202.8 meters, 666 ft.
BEAM: 28.1 meters, 28 ft. DRAFT: 6.2 meters, 21 ft.